Taking care of ones nails is very important when it comes to maintaining hygiene. Keep your hands moisturised, coat the nails properly and choose proper lacquer, suggest experts, reports Ians. * Practice good nail hygiene: Without proper care, the nails become brittle and thin and so, it is essential to have a regular maintenance routine. 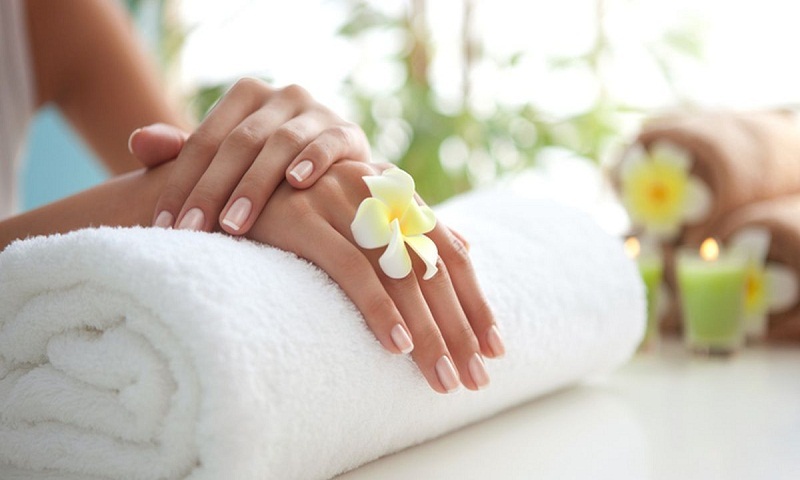 Manicure and pedicure help in keeping healthy and shiny looking nails. Ensure that you stick to salons that have technicians who have undergone proper training. Wear gloves for better nail care when working with your hands, such as when you are gardening or housecleaning, to protect the polish and keep dirt out of your nails. * Choose correct nail lacquer and nail care collection: Wearing nail polish does not harm your healthy nails, but many of your favourite nail polishes and acrylics, are full of harsh chemicals that cause nail brittleness, dryness, and thinning. Ensure that you use products that are paraben-free, sulfate-free, formaldehyde-free, toxin-free, gluten-free, cruelty-free and vegan. Pick a nail colour remover that treats conditions that adversely affect nails and cuticles, preferable something that has the unique goodness of Vitamins A, C, and E.
* Hydrate your hands: It is advised to wash the hands with lukewarm water to help keep the hands and nails soft and smooth. Also, apply a hand cream frequently which is enriched with fruit extracts. It will help in restoring and make the hands look hydrated and moisturised. * Coat it up: Bottom and top coat may seem unimportant, but they help to keep our nails from chipping, splitting, cracking and strengthen and protect the nail from being stained. The coats also do an awesome job smoothing imperfections. Try and pick up a top coat which has an external barrier harder than traditional top coats, so it’s more durable against wear and damage. Also look for UV protection in the formula to combat environmental damage to include fading and yellowing. * Nail extension: The nails are one of the parts of the body that can say more of a person. In fact, many people look at the hands because they say a lot about each other’s personality, the way of life. Presentable nails are equally important and if the nails do not grow and are short, it’s beneficial to get nail extension done. Take care of your nail extensions. Make sure that you fix the damaged nails as soon as possible and keep an eye out for dryness, redness and peeling of skin or cuticles. * Moisturise cuticles: Taking care of the cuticles is a critical part for a healthy growing nail. Dry, cracking cuticles not only make nails look messy, they can also cause hangnails and just plain hurt. Cuticles are part of your skin and serve the important purpose of acting as your nail’s protective barrier. Moisturise and massage with oils which have healing properties such as Argan Oil to restore moisture and repair damages.